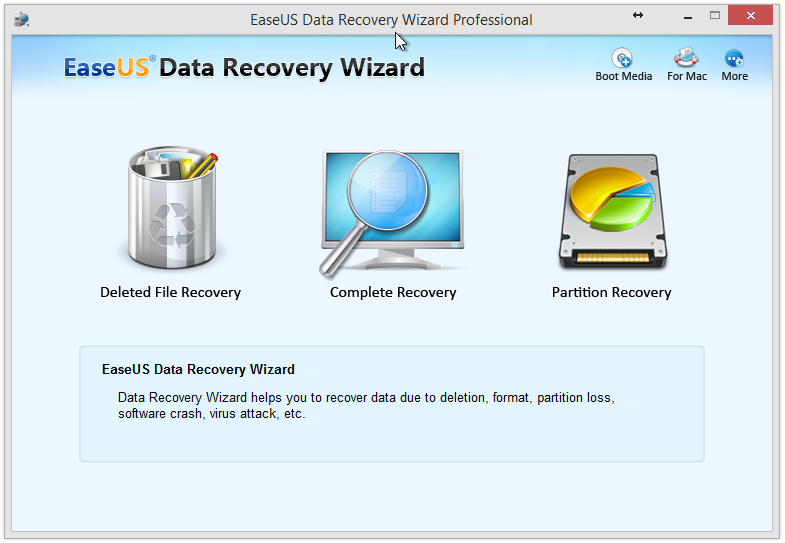 Easily Recover lost data with EaseUS Data Recovery Wizard Professional! ~ Android Forever! 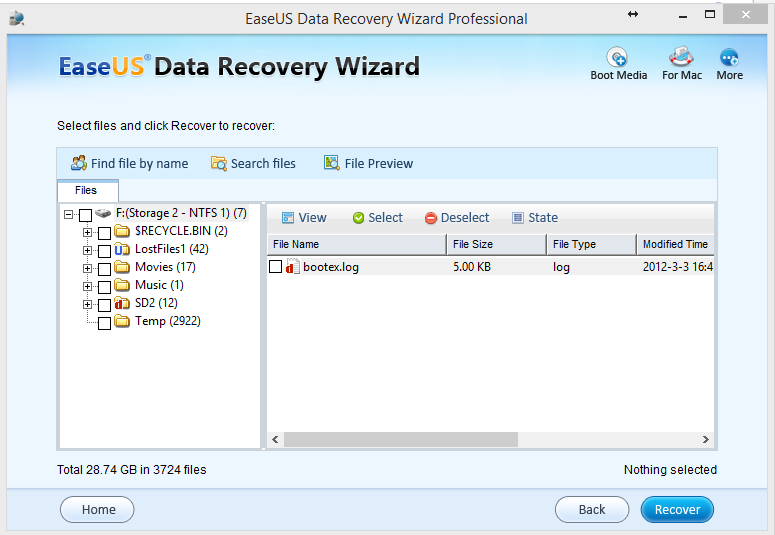 Easily Recover lost data with EaseUS Data Recovery Wizard Professional! Sooner of later this will happen to you. It happens to everyone at some time or another, so there's no need to feel embarrassed. Files get accidentally deleted. Important files. Files you certainly don't want to lose forever. The good news is, if you don't wait too long, these files can often be recovered! How? Aren't they gone? When you delete a file, it doesn't actually get erased. Your computer only frees up the space the file occupied. It says, OK, that data isn't needed anymore, so I can lay down some other data in that spot. And it "forgets" where the deleted data was. So if you search for it, you won't see it. If you act quickly, though, you can often recover the "lost" data, but only if you do so before your computer lays down something else on that spot, or "overwrites" that area with new data. Your computer actually needs to overwrite it several times before it's completely gone, but eventually that will happen, so you can't afford to wait. 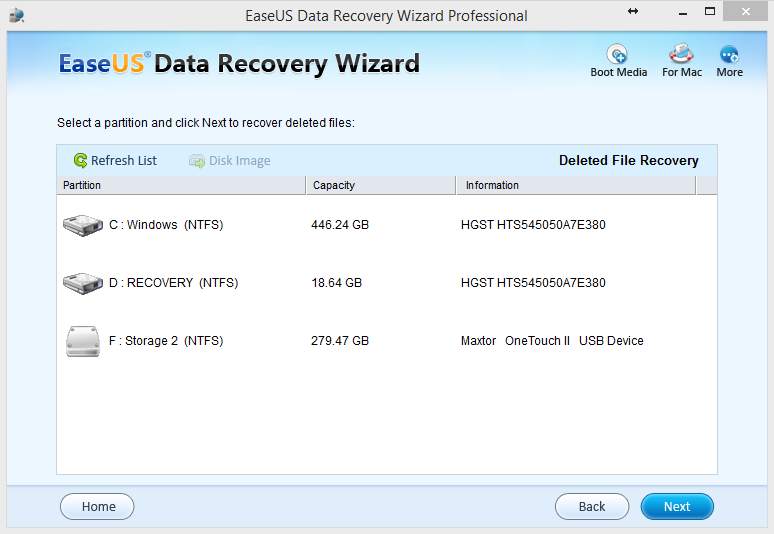 This is where EaseUS Data Recovery Wizard comes in. The designers of this great product know that you aren't a professional computer expert, so they've designed a product that will give you the power to recover your lost data in a simple, easy to use fashion. When you visit the web site you'll see how simple it is to download and install the program. There's also lots of great information on the program's features, a very helpful user guide, and a great reference guide. You'll be choosing between Deleted File Recovery, Complete Recovery, or Partition Recovery. The most common type is the first. You accidentally deleted one or more important files. Photos, bank statements, videos, whatever. Let's say you have some great photos of your kids on an SD card, and someone (let's not focus on blame here) wiped them out. You attach the SD card to your laptop reader and there's nothing there! So, in our example, you would click on the Deleted File Recovery button. Next, select what file types you (or someone else) deleted. Were they Graphics files (e.g. photos)? Music files? Video files? Document files? 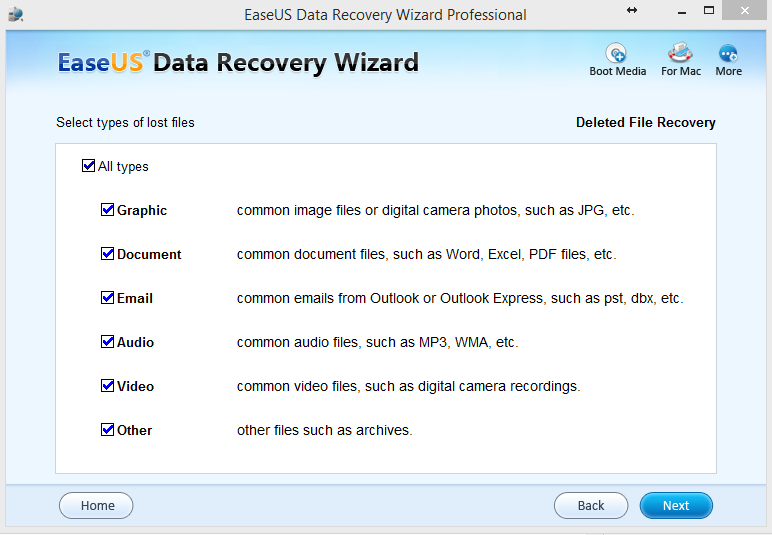 The EaseUS Data Recovery Wizard will find recover them all. In our case we'd select graphic files. Once you've checked the right box, all you need to do is click on the "Recover" button and the Data Recovery Wizard will do its thing! Oh the joy you'll experience when you see your missing files appear! Your memory card recovery has been successfully completed! Download the free trial version to see how easy it is to use! To be sure, having this program available for the inevitable, if unwelcome, accidental file deletion is well worth the modest price of the software!